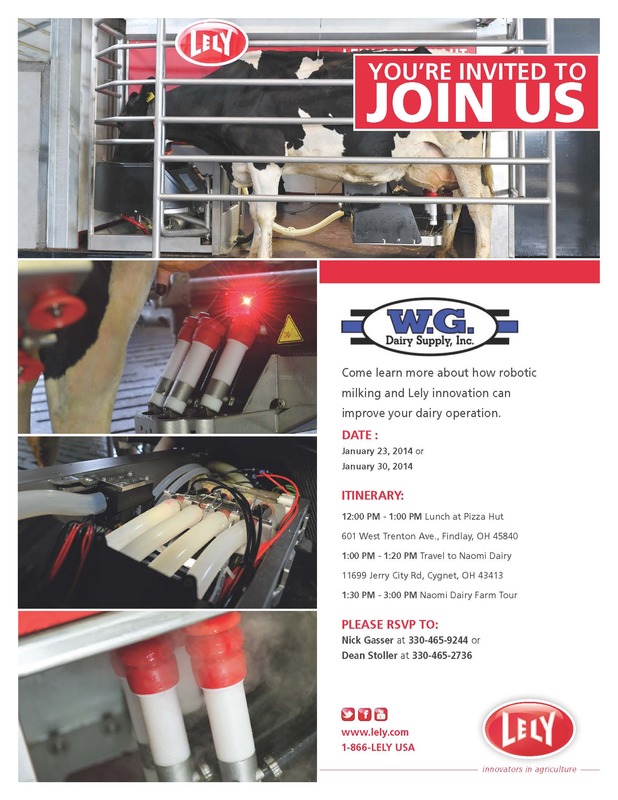 Come learn more about how robotic milking and Lely innovation can improve your dairy operation. Ohio based Lely dealer, W.G. Dairy Supply, Inc., will host two meetings/farm tours at the end of January. The public is welcome to attend on either date available: Jan. 23, or Jan. 30. The itinerary will remain the same for both events.